This summer has been fun and hot so far. Ginger went back to the vet for blood work and she's still on steroids. 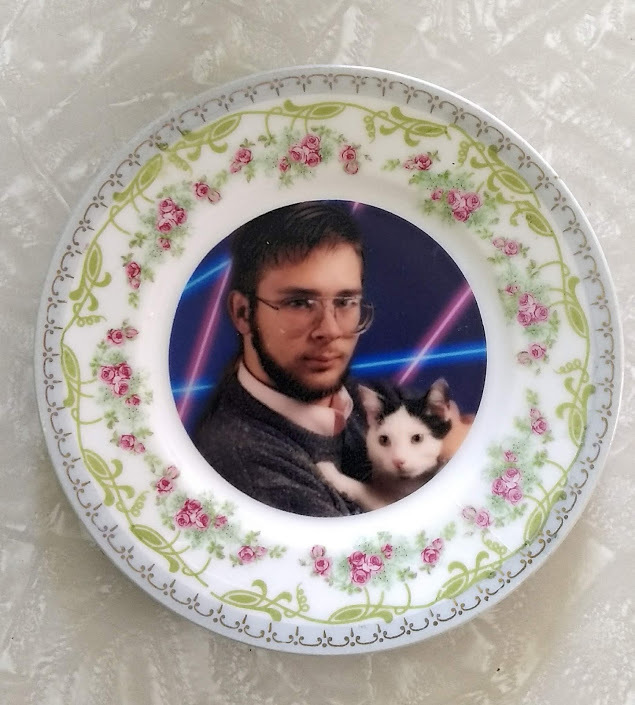 They prescribed an appetite stimulant again. Good news is that she's back up to five pounds, so we're just keeping an eye on her eating habits. Here she is just hanging out on my lap watching Supernatural. 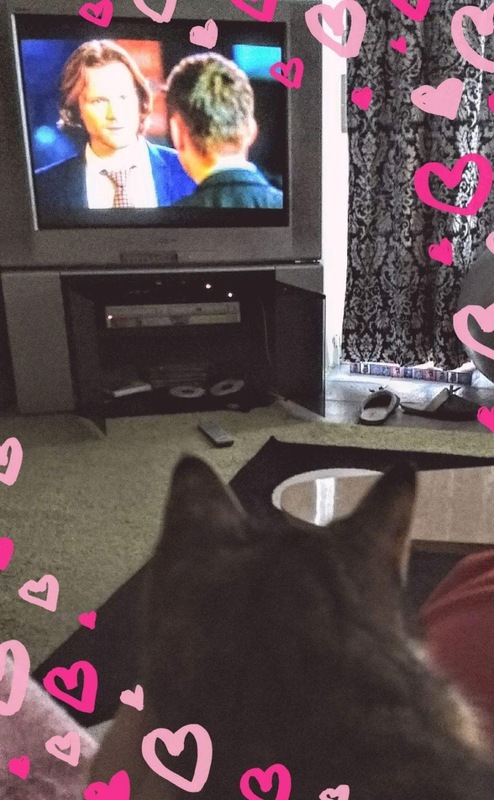 She's in love with Sam. This past weekend was pretty busy. On Friday, I worked at Cats Like Us during the day, and volunteered at the Burchfield-Penny Art Center in the evening. They have free admission second Fridays every month, so I knew it would be busy. I used to work at the BPAC over ten years ago, and it was nice to see old co-workers and friends. I hope they ask me back every month! 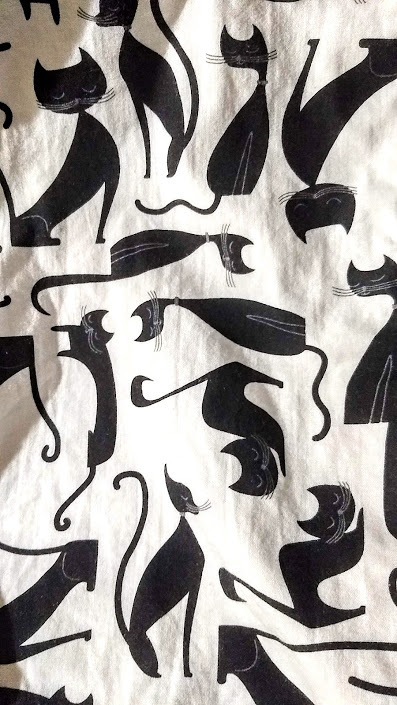 And in theme with my "Everyday is Halloween" Fashion, I wore a Black Cat Dress for Friday the 13th. 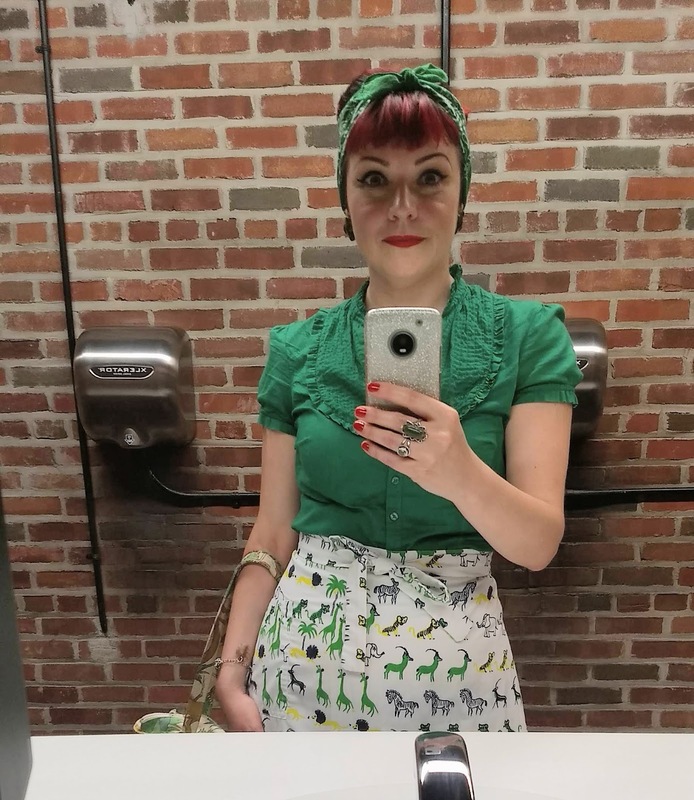 I didn't get a full outfit picture, but this is the print. I suggested he wear his taco print socks, but he said that would be "too extra". 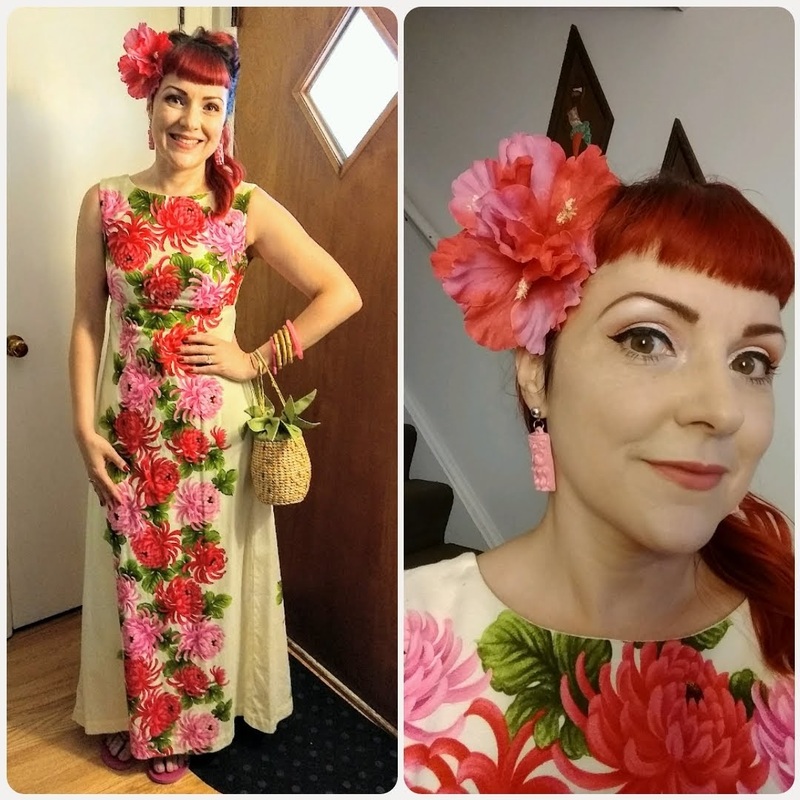 Tiki earrings by Coffin Kitsch. My Sunday was jam packed. 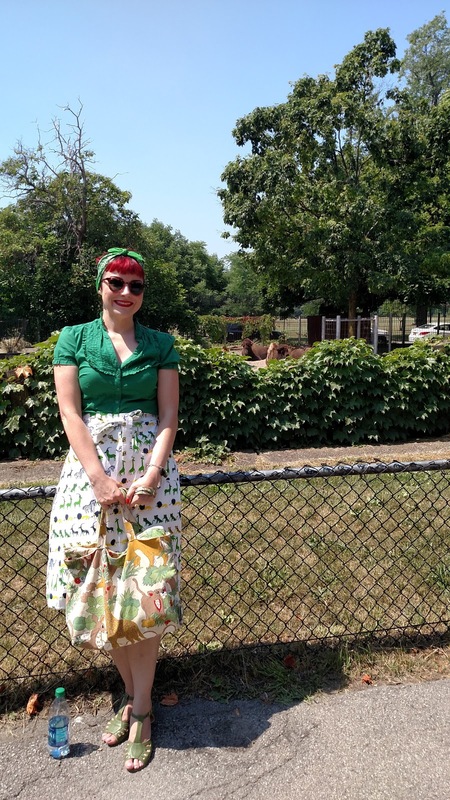 I started by attending the inaugural Retro Day at the Buffalo Zoo. (By the way, it's the third oldest zoo!) 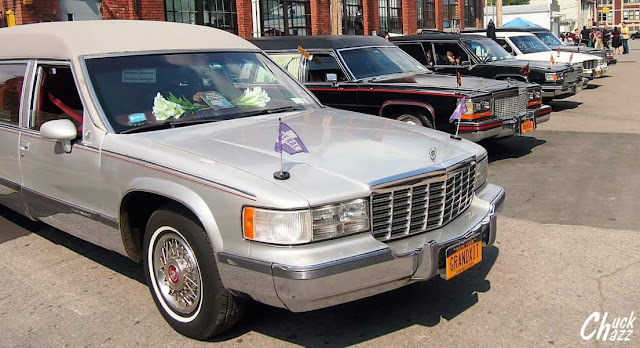 It was hosted by the Nickel City Dolls. They gave out retro swag bags and organized a group photo with all the attendees. It was hot and humid, so I opted for something easy to wear. A vintage 1970s wrap skirt that I made to look 1940s with a puff sleeve blouse, 1940s inspired sandals, and my hair up Rosie the Riveter style. Me & the live Buffaloes. I really love the giraffe family they have at the zoo. Here's the baby opting for tree leaves instead of the food from his bucket. 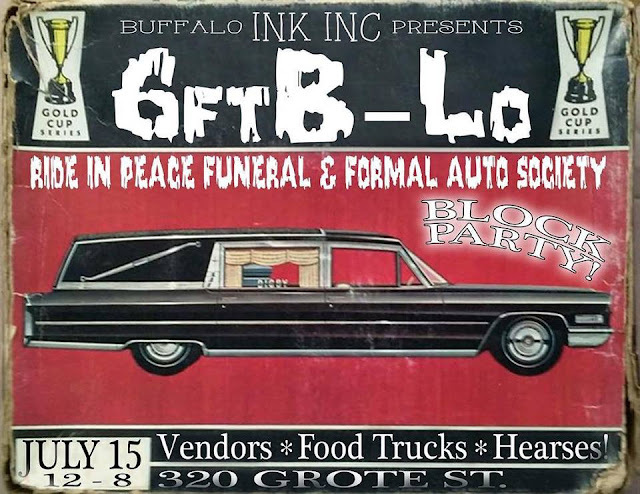 Sunday afternoon we caught up with friends at the 6Ft B-lo Hearse Car Show. You heard that right, a hearse car show! It was still very humid, but we enjoyed shopping with vendors and seeing the hearses. 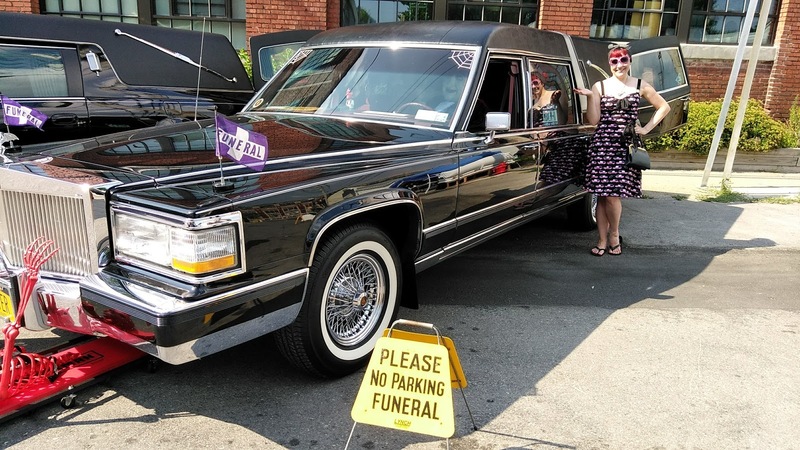 I never really thought about it, but I've never seen a hearse up close. They are really big cars and the ones on display were beautifully maintained. 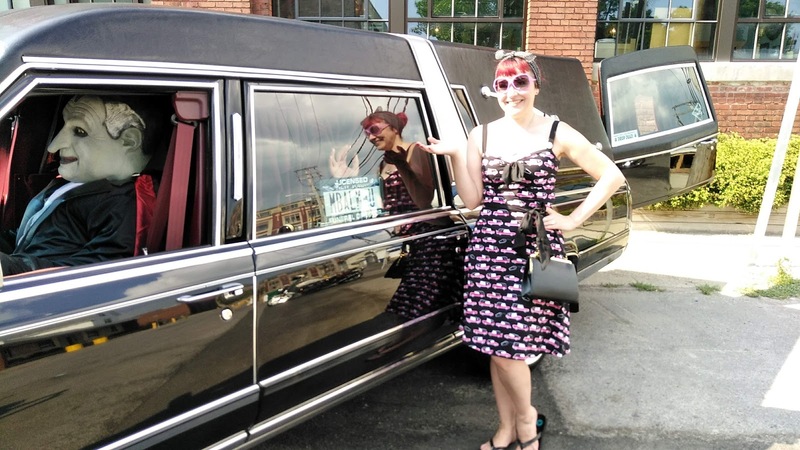 I wore a hearse dress because I'm not afraid to dress in theme. Lots of the vendors were people that I have worked with before. I mentioned Coffin Kitsch above, she's now dipping her toes in resin jewelry, eyeglass cases, and kitsch-tacular hair flowers, in addition to vintage clothing! Across Lots was vending, I blogged about her vintage inspired, but very wearable handmade hair adornments before on Fluffy. Sweetheart Pinup Photography Studio, my neighbor from down the street, was booking sessions and selling merch. 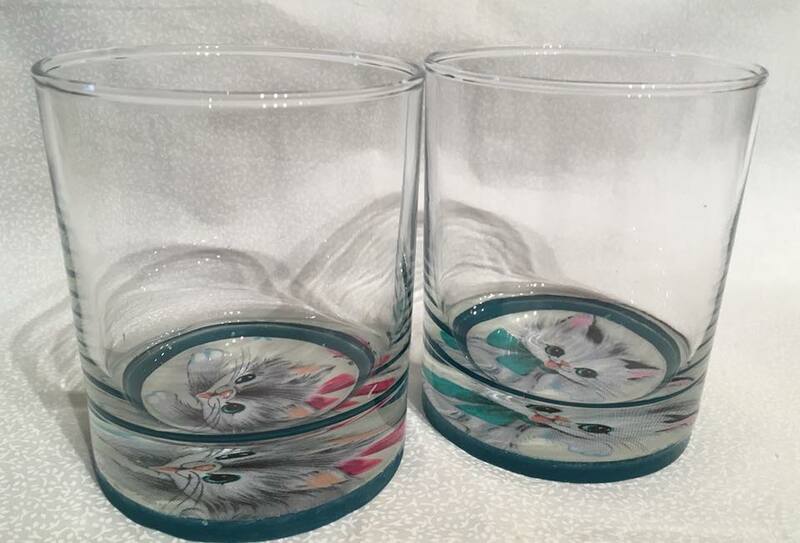 The local artisan Warning that was interviewed a few years ago for Cats Like Us was debuting new products that we just had to have. 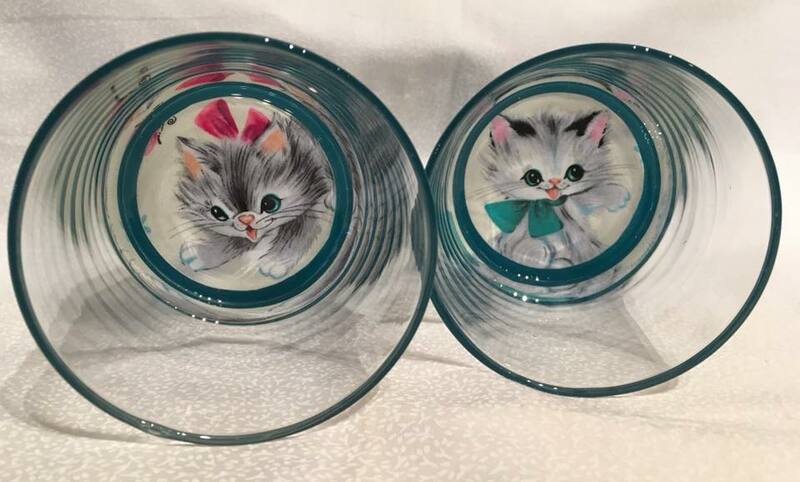 We bought these cat glasses and a plate. Summer is limited in Buffalo, NY to about four months, so residents jam pack as much outdoor stuff as they can into the long hots days. I'm no exception. Thanks for reading and who knows what my next weekend adventure will bring! 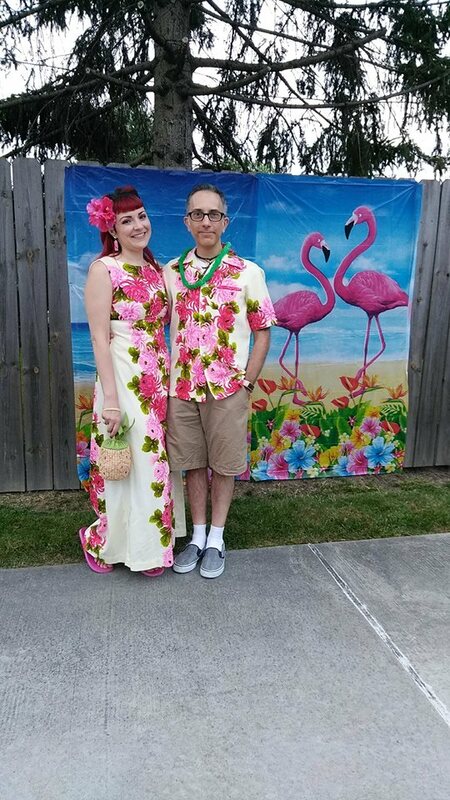 Look and Andrew look ADORABLE in those honeymoon outfits! That pineapple purse is to die for -- is it vintage or retro-repro? UGH! I meant you and Andrew look adorable! Sheeze. I just saw this now! Thank you. I picked up the purse second hand, so I'm not sure if it's vintage.